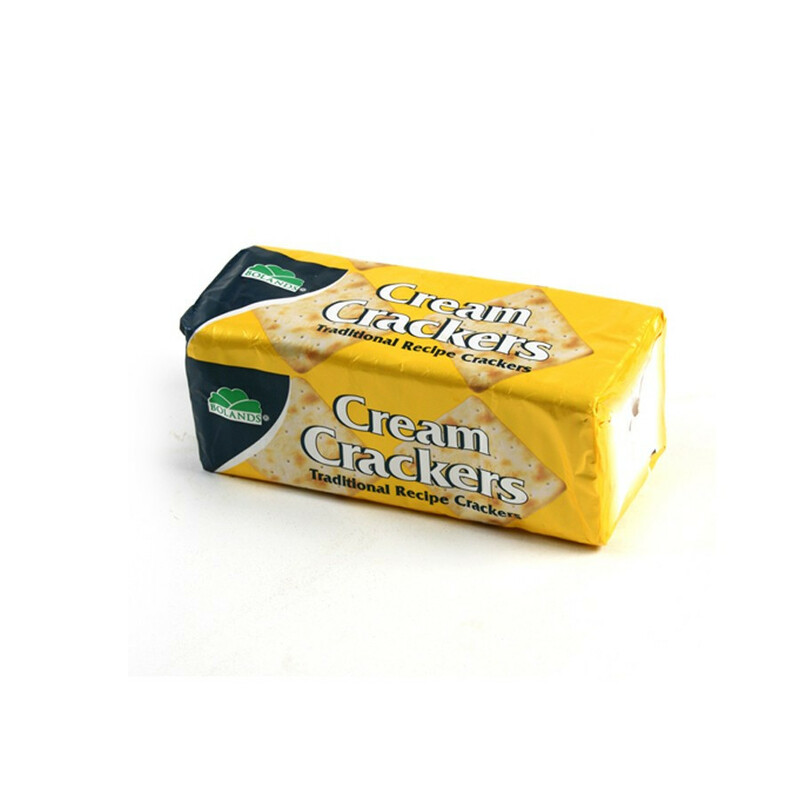 Bolands Cream Crackers are wholegrain wheat salty biscuits, with low sodium and suitable to vegetarians. These Irish crackers are perfect paired with ham, marmalades or topped with cheese, or simply enjoyed with a margarine spread. You may also have them as a mini-sandwich! For your breakfast, they are delicious when dipped in tea. Bolands has been one of the main Irish biscuits manufacturers for more than 150 years. Today, Bolands stands for quality and value. Its biscuits are part of the traditional pantry of any Irish home. Today, Bolands stands for quality and value. Its biscuits are part of the traditional pantry of any Irish home. Ingredients: wheat flour, palm oil, salt, yeast, raising agent (sodium bicarbonate).